I was super lucky last week and got to have two of the best meals ever. Well, it was my birthday which is always my favorite time of year, mainly because it’s great to get close friends in the same room at the same time. This year’s birthday lunch was at ACME. It was wonderful, 15 of my closest girlfriends and I enjoying a delicious meal together. As I’ve mentioned before ACME is a fantastic Sydney restaurant and I highly recommend it if you’re in town. However, as wonderful as my birthday lunch was, the highlight was my birthday dinner. It wasn’t just a highlight of my birthday, it was probably the highlight of my year (or even decade of food). It crossed off a major tick on my Foodie Bucket List and was one of the best meals I’ve ever eaten. As it should be—we went to Sepia- and had all 12 courses- with matching wines. Happy Birthday He Runs, I Cook! Wow! I can’t believe it’s been a year since I started this blog– and what a crazy, crazy, crazy crazy year it’s been. There have been the highest highs ever and the lowest low I could imagine but somehow we both survived (me and the blog!) So much has changed in the past year and so many things are the same. Thank you for reading and for sharing the last year of ups and downs. Whilst I haven’t been the most regular blogger in the world, I will try to do better in year 2. It’s been a learning experience and I love sharing my food (and other adventures) with you. OMG, It’s another Sunday Dinner Party! So this week’s challenge is from Jane Kennedy’s OMG I Can Eat That?!?. 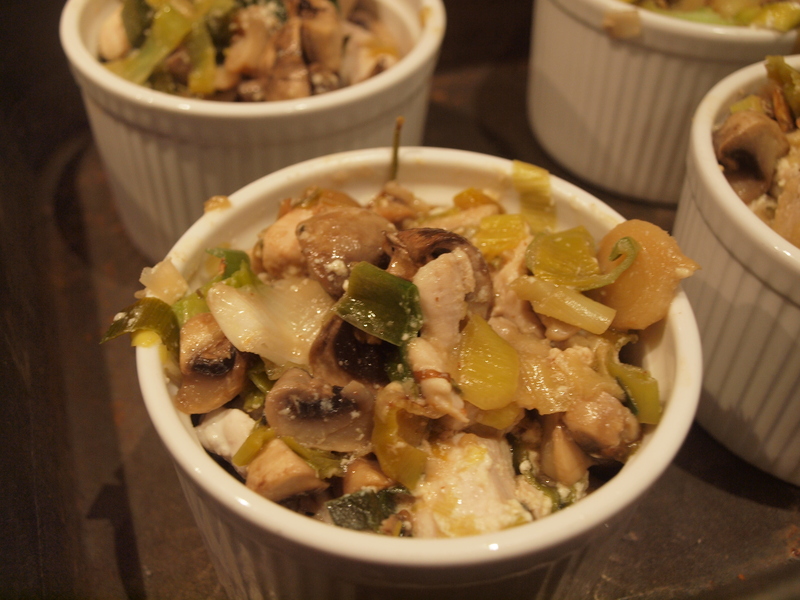 The recipe was the Chicken, Leek and Mushroom Piemakin and OMG it was pretty easy and pretty good! So, soon after I picked this recipe, I had a minor freak out—it’s served in Ramekins and I “only” have two sizes of ramekins (I know, me and my first world problems). Neither size looks quite big enough to feed/fill hungry people. Oh snap! So, in vain, I searched the web for ramekin sizes and realised that 1, Ramekins come in all shapes, sizes and colours, and 2, it was a Saturday so even if I found the perfect ramekin, there was no way they’d be here in time. That left me with two options: 1, make a pie in my super large ramekin shaped dish… or 2, make a dessert. I chose the dessert option. Slightly more work, but who doesn’t like cake. And, if I can find candles that aren’t tea lights in the house, we may light them and wish The Runner an early happy birthday. Oh, and in case you’re wondering my larger ramekins are about 9oz, which is also the largest size ramekin stocked by www.foodservicewarehouse.com. They don’t look that big but hopefully they’ll do the trick! If not, oh well, there’s a McDonalds across the road everyone can hit after dinner! So my first step is to make the marble cake. It’s not out of OMG I can eat that, it’s out of my mixer cookbook. First hurdle, figuring out how big 20cm is. When you were born and raised in the only non Metric country in the world, this presents a problem. Anyway, don’t get me started about how we all learned about the metric system back in 1985 because supposedly it was “coming soon” yet 25 years later, it’s still yet to reach the US. Anyhoo, I cream together eggs, butter, and sugar in my mixer…and oops, that’s what happens when you don’t lock the bowl into place first, you get eggs, butter and sugar all over the counter. Let’s try again! Can I just say how much I love My Mixer, Barbie? I always wanted her and she was a present for my 30th birthday and hands down, nearly three years later, she’s still the best present ever….that I’ve received as an adult. 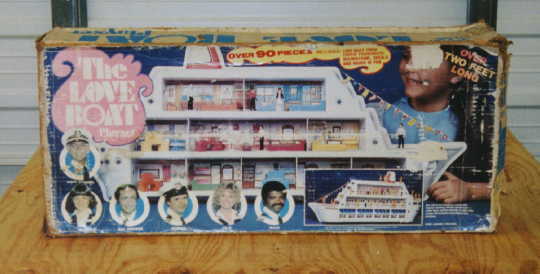 When I was 3 or 4 My Dad bought be a Love Boat playset, complete with an over 2 foot long Love Boat. Now THAT was the best present ever especially when you’re just over 2 foot long yourself!!!! Seriously! It even had figures painted to look like the cast, including Isaac, Doc, Gopher, and my personal favourite, Julie McCoy, Cruise Director. I wanted to change my name to Julie when I was about 3, in honour of course of Julie McCoy. Well, the cake batter is made and actually I have enough for two cakes—so The Runner will have one to take to work tomorrow if he’d like….Result for him! The kitchen is in a bit of a state so I do a quick tidy before moving onto the main event! 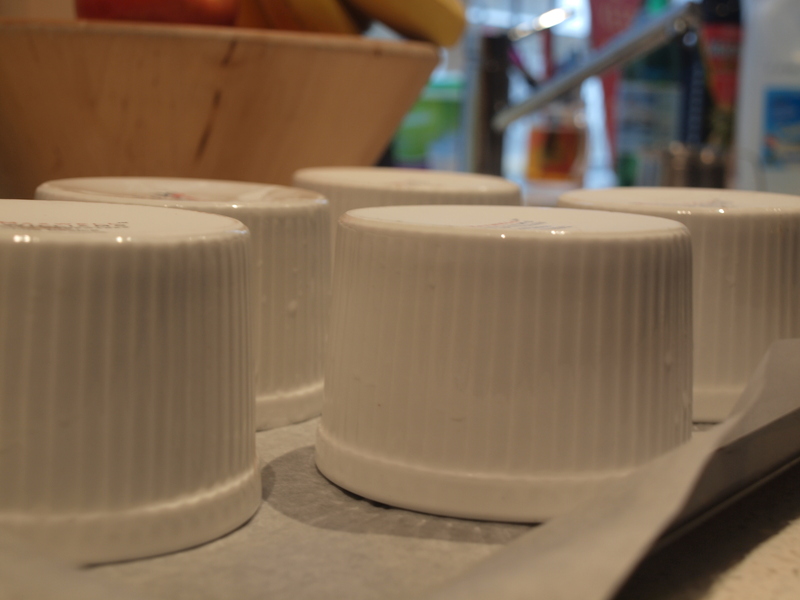 The first step is to outline the ramekin tops so that I can make the Zucchini crust for the pies. 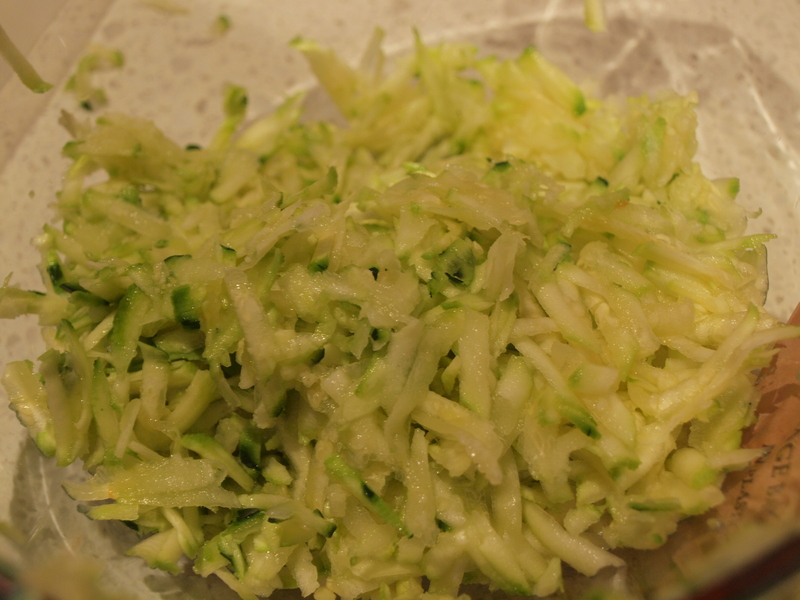 I trace, them onto baking paper and then grate two zucchini. 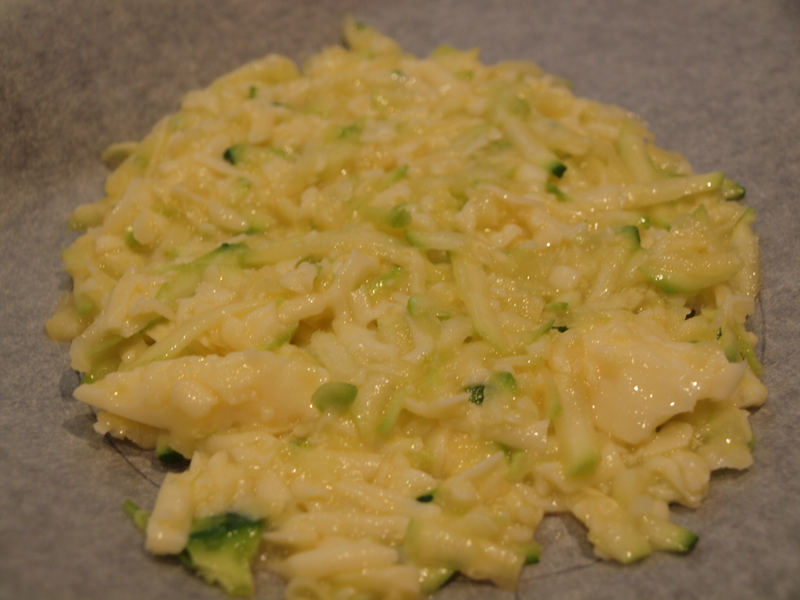 I stir in two eggs and 150g of shredded mozzarella and put them onto the baking paper. Then I chop the chicken and brown it for 6 minutes, remove it from the pan and add leeks and garlic. After that’s cooked for 5 minutes, or possibly longer since I got a bit distracted by table setting. I add rosemary and thyme and mushrooms. Once that’s cooked I add the chicken and greek yoghurt and cook it until I’m dressed… ok, that’s not what the recipe says but as it’s 15 minutes before the guests come and I’m not dressed so it’s the most realistic way to time it! I’m dressed and now wearing an apron (fancy!) and as I’m filling the ramekins with the chicken, leek and mushroom mix the door bell rings with the first guest! So….. the meal is pretty easy to put together from here and a great meal for entertaining. Firstly, it can all be done hours before anyone arrives and secondly, it’s a meal in a ramekin with a salad on the side, not exactly a culinary stretch! But it actually tasted good. 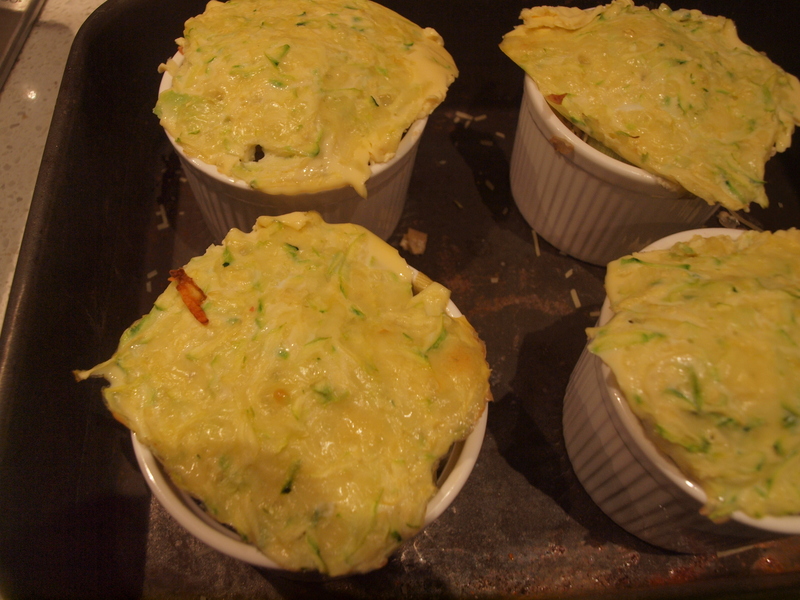 Once the guests came, I sprinkled some parmesan over the ramekins and put the zucchini lids on. Now they’re ready for the oven… but not until all the guests arrive! I make the salad, have some wine, have some more wine and then make the salad dressing. What a great dinner party dish, there’s no work to do except to put it in the oven….. how good is that??? Everyone arrives and everything goes to plan….the ramekins are actually more than enough to fill everyone—did you know the stomach only holds two fists worth of food?? Neither did I until tonight! I reckon a ramekin is about 1 fist which leaves a whole second fist for cake and ice cream. We forgot to sing Happy Birthday to The Runner, but The Runner who isn’t big on birthdays isn’t fussed. It actually occurs to me that The Runner and I are the epitome of ying and yang. He doesn’t care about his birthday, and I pretty much think mine should be an international festival. He loves to eat, I love to cook. I love fancy dress and will dress up at the drop of a hat, he definitely doesn’t. He’s up at 5am to go cycling, I could sleep until noon. It’s funny that we are the embodiment of opposites attracting. But somehow we work. So nevermind there were no candles and no happy birthday with the cake and ice cream tonight—I think I was more upset than he was. It was a great dinner party. We had DC, the Lineast, Ampersander, The Runner and I, and it was a blast! The Ampersander chose Stephanie Alexander’s Cooks Companion for the next challenge! Stay tuned, this could be an interesting one!!! !